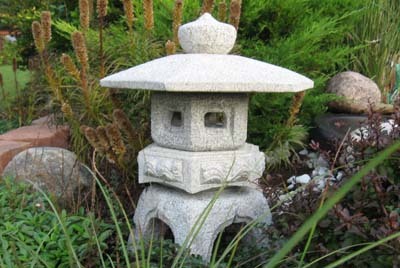 Select Variation: Yukimi Lantern, 12"Yukimi Lantern, 18"Yukimi Lantern, 24"Yukimi Lantern, 36"
The Yukimi Lantern is called the "snow viewing lantern" in Japan because of its graceful lines and wide pagoda-style roof. Created from blue-grey granite, this traditional Asian lantern provides a peaceful, serene feeling to any landscape or outdoor living space. Its five-piece design is made from textured granite and will last for many years to come.